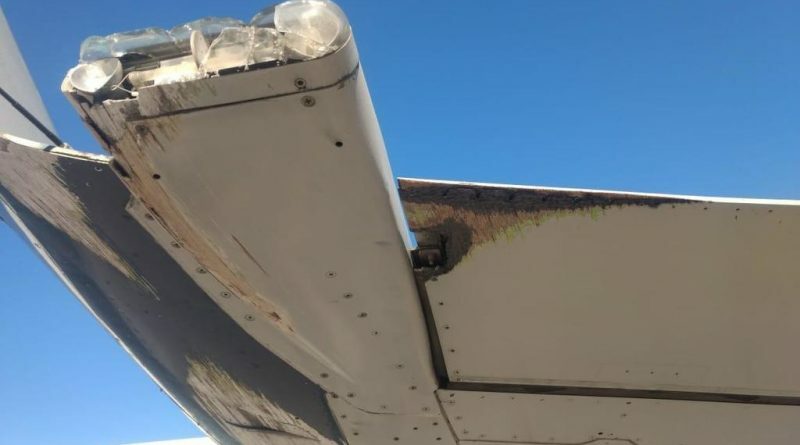 An Embraer E170 jet of Aeroméxico Connect suffered wing damage on Wednesday 10th April upon take off from Chihuahua airport. According to local media, the aircraft was buffeted by a gust of crosswind upon take off which forced the jet slightly sideways and the left wing struck the ground. The crew of the aircraft, registration XA-SAC, followed airline procedure and returned to the airport and there were no reports of any injuries among those on the aircraft. According to Aeroméxico, the passengers were put on an alternative flight to Monterrey later on Wednesday. An investigation has already begun on the incident and the airline says it has ferried the aircraft to Monterrey for repairs.